JP1 Remotes :: View topic - Smallest JP1 remote? Posted: Sun Oct 21, 2018 12:17 pm Post subject: Smallest JP1 remote? 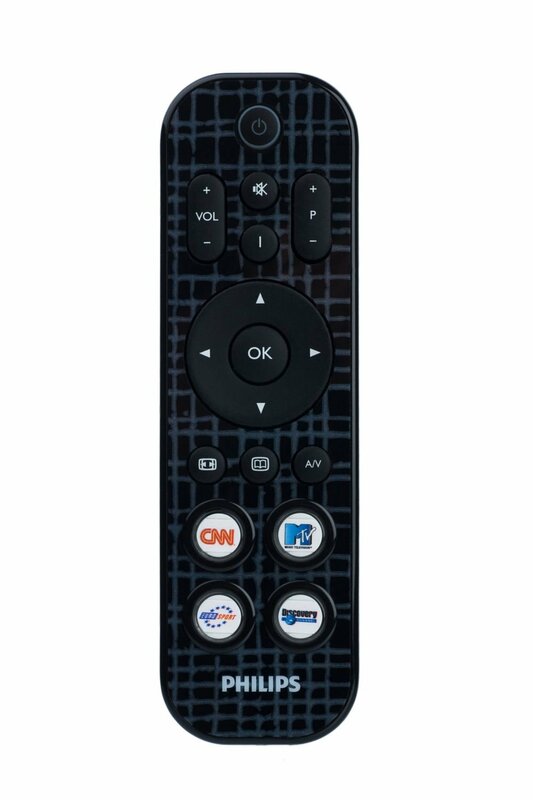 I'm looking for a JP1 remote around the size of a Roku remote. Anybody know of one? I need minimal buttons and JP1 or Macro capability. Something like the Philips SRU4002 would be ideal. Check out the URC 6820Z and CM-7500XRC2. The latter is larger than a Roku remote, but not much. I'm guessing the simpler 6810 is probably JP1-able too, but we don't have an RDF yet since nobody has asked. (If you want the CM remote above, you can have mine cheap. Just PM me). EDIT: Turns out the CM is larger than I remembered: 4.5 cm longer and 2 cm wider than a Roku remote, but still smaller than most JP1 remotes. So looks like the URCs are your best bet after all. I bought and returned the O4A URC 6810, it was huge. Misleading proportions. Volume wise it was more like 3x Roku, and it had very sharp square edges, not ergonomic at all. The CM is not much different to my current remote. Too many unused buttons for my current setup. Thanks the the suggestions though! Chunghop apparently makes several cheap, tiny learning remotes that work pretty well. I am currently trying out two Chunghop remotes. The issue is I need to use Macro mode. What used to work with Harmony was to send a fast macro from JP1 and learn it in one shot. Try the URC mx-200 remote, you can get the software from remote central, under NXG. I have tried that, but I was not aware macros could be different speeds? Maybe I should try a "fast" macro? How? That looks like just the ticket, will see if I cab get it for a reasonable price in, or shipped to, the UK. You would need to be using an extender, which JP1 remotes do you have? Any JP1 remote running an extender will execute macros several times faster than an unextended remote, perhaps fast enough to appear as a single IR signal to another learning remote. A few unextended JP1 remotes can also run a "fast macros" patch. So it depends on what model JP1 remote you have. In the old days when Harmony couldn't run long macros, I could teach a 20 step macro to it from a JP1 remote in a single learn for a total duration of under 2 seconds. I believe you can use the JP1.3 common extender with the 31473147 Insignia remote. IF that remote is signature 31473147 then the common extender will work. you may have to edit the button names in the 3X47 RDF file to match the buttons that are on your remote, but otherwise every remote I've seen with the 3147 signature has had the same basic firmware load and the extender will work. Just got around to trying this... it *almost* works! I have confirmed the Macro works from my JP1 remote. Chunghop appears to learn Macro from JP1 remote. Kind of feels like Up and Right are being combined somehow?